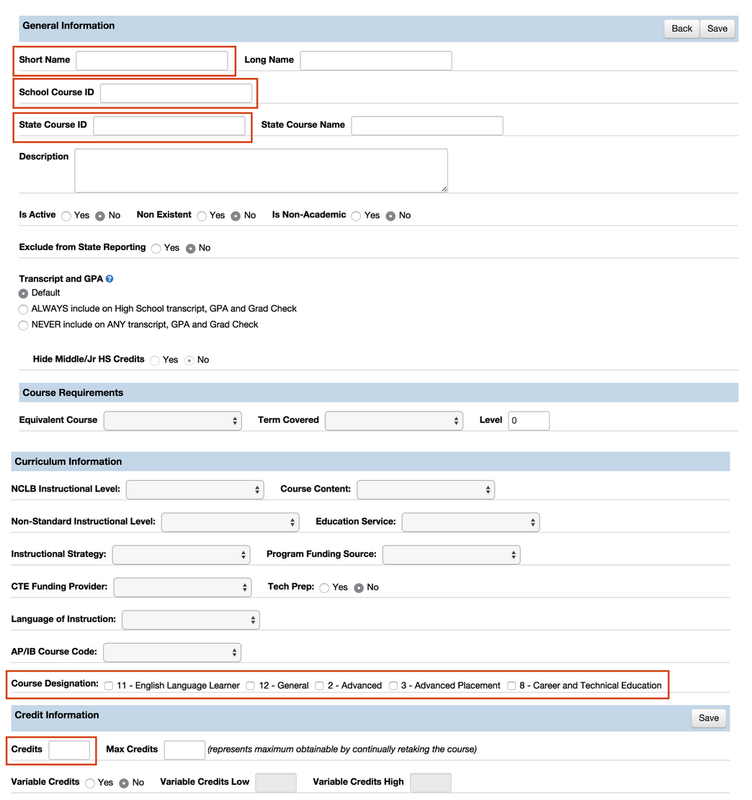 This document outlines all of the required fields when using EdFi. This is the information that is send to the state. 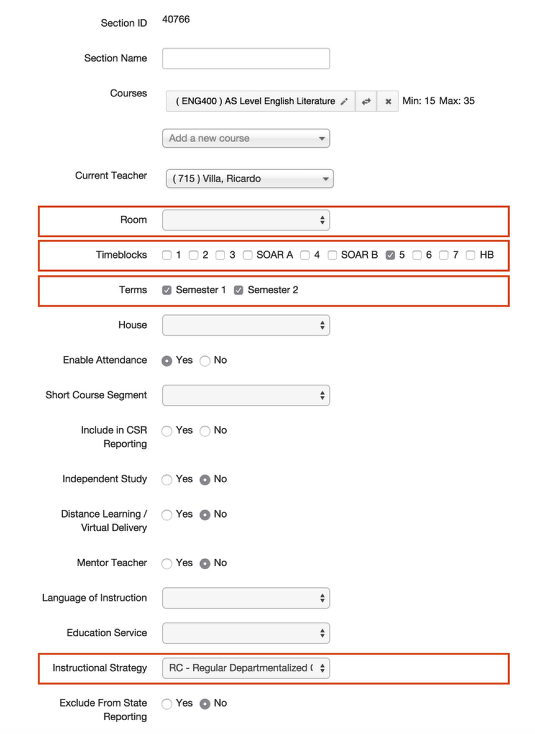 This displays the required fields from the 'Create a New Student' process. Much of this information can be found on the Student Demographics page as well. 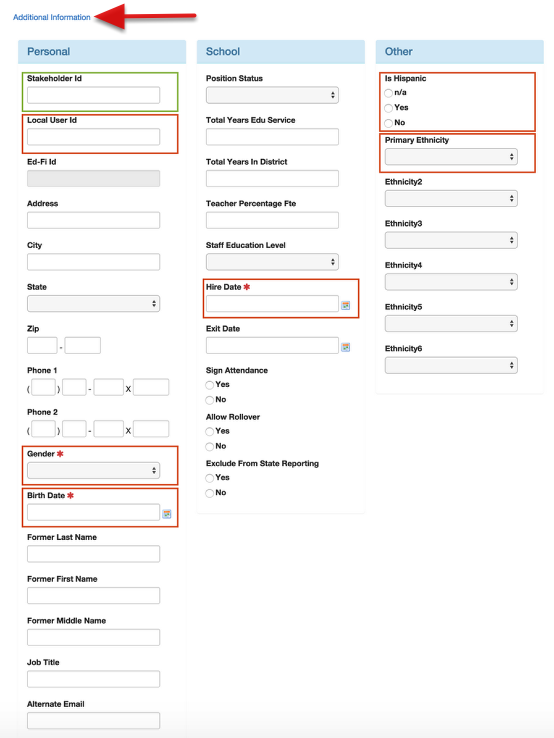 When creating a new student you will now have to select to either use an existing EdFi identity or create a new EdFi identity. 1. School - The 4 digit code stored in local_sitel_id is sent. 2. 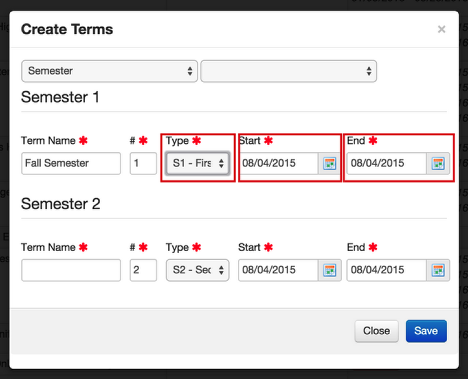 Effective Date - Sent as the enrollment date. 1. FTE Override - defaults to 1.0 if left blank (Acceptable values - 0.0, 0.25, 0.5, 0.75, 1.0). 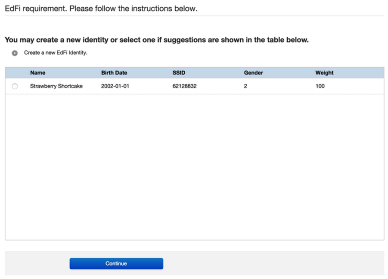 When creating a new student you will now have to select to either use an existing EdFi identity or create a new EdFi identity before the Student's Demographics page will show up. 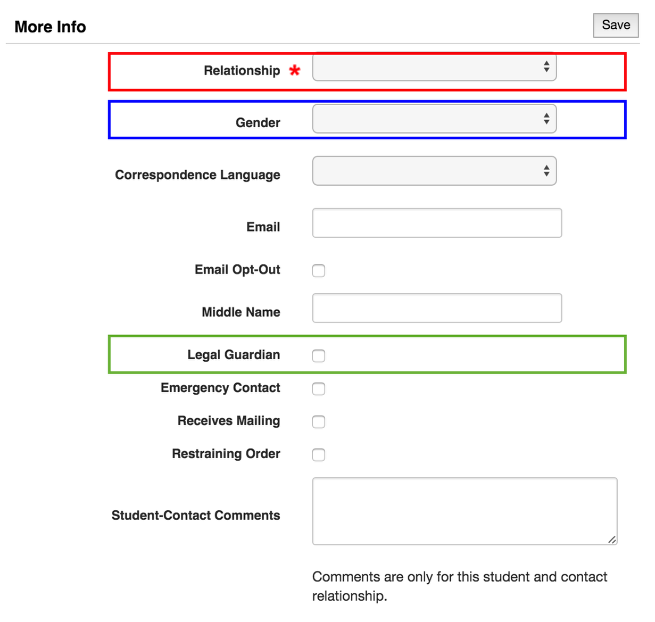 Once a student is created, there is a conditional requirement to be filled in on the Student Demographics page. 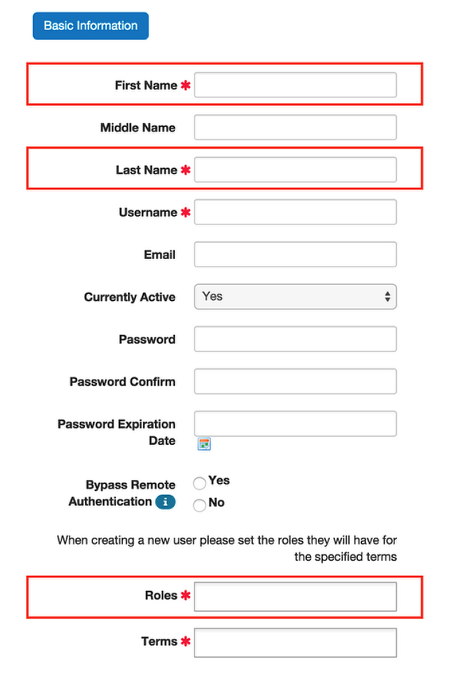 If a withdrawal reason code (WR1, WR2, WR3, WR4) needs to be sent it should be entered into the state-id field in the exit codes code table. The withdrawal type should be first followed by a “-” and then the withdrawal reason should follow. * Course grade levels are also required. Countries - State ID mapping should contain the country name beginning in 2015-2016. Course Designation - State ID mapping should contain the code value from the Arizona Course Level Characteristics code table. Ethnicity - State ID mapping should contain the short description from the Arizona Race Type code table. 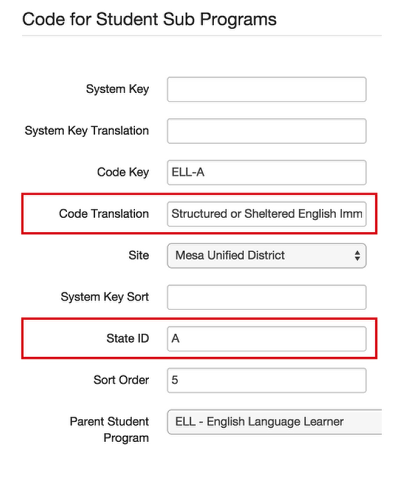 Instructional Strategy - State ID mapping should contain the short description from the Arizona Educational Environment Type code table. 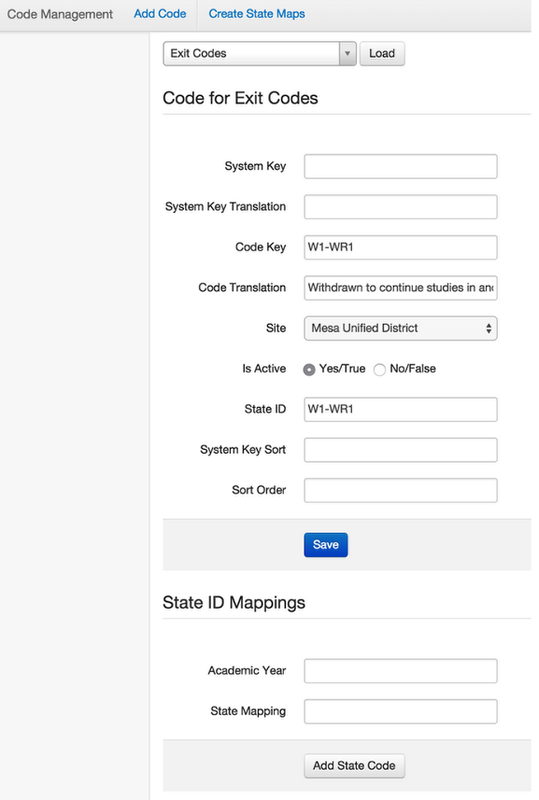 Student Contact Type - State ID mapping should contain the code translation from the Arizona Relation Type code table. Term Type - State ID mapping should contain the short description value from the Arizona Term Type code table. 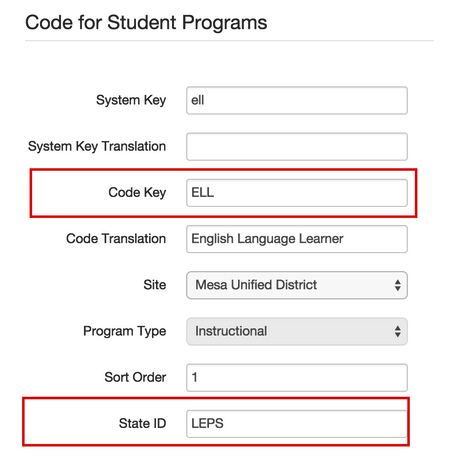 Student Programs (ELL and Support programs only) - State ID mapping should contain the code value from the Arizona Student Need code table. If the code key is ELL then the program type is sent as ELL. If it is anything else it is sent as a Support Program. 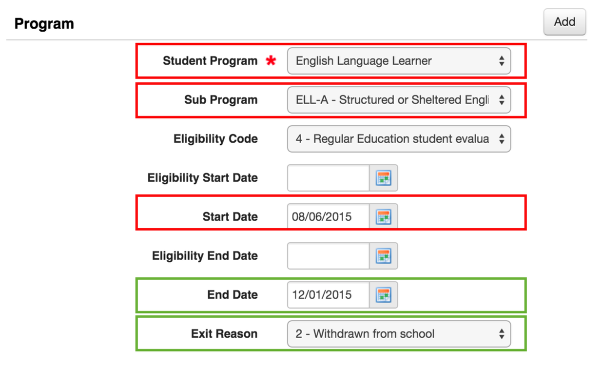 Student Sub Programs (ELL and Support programs only) - State ID mapping should contain the 1-2 Letter/Digit precursor to the Program Name. The code translation should contain the Program Name. (These must be identical to the program name from Arizona). 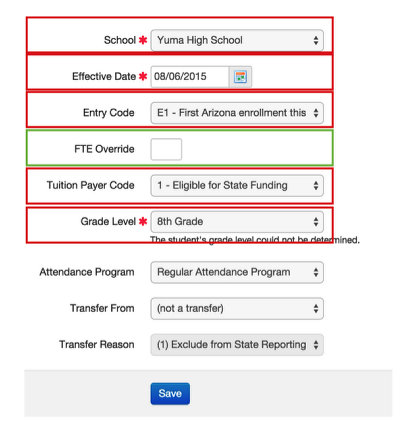 Primary Disability (Special Education only) - State ID mapping should contain the code value from the Arizona Student Need code table for Special Education Programs only. 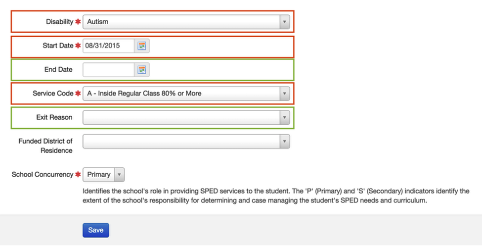 Special Ed Service - State ID mapping should contain the code value from the Arizona Special Education Setting Descriptor code table.